I saw Jbrary’s Pinterest board about a Berries and Jam storytime and immediately got to work planning the Alaska version. Right before the annual Iditarod Sled Dog Race is a great time to talk with my storytime kids about the rest of Alaska, and berries are an easy way to capture kids’ attention. I used basically the same plan for the two preschool age weekly storytimes I held this week and for the family storytime which is part of my two month Storytime on the Go outreach program. We began storytime with the rhyme cube. We ended up singing two songs, The ABC Song (to the tune of Mary Had a Little Lamb), and If You’re Happy and You Know it. Before I began reading the first story, Berry Magic, I shared a quick keynote slide show on my iPad about Alaska berries which I made before storytime. 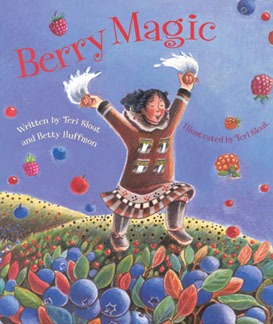 Berry Magic (Alaska Northwest Books, 2004), written by Teri Sloat and illustrated by Betty Huffmon, is a wonderful story based on a Yu’pik tale about the magic of how berries came to be on the tundra, but without some additional berry visuals, kids may not understand the connection between the berries and the head scarves worn by each of the dolls in the story. Connecting the colors is a key element to appreciating the beauty of the story. 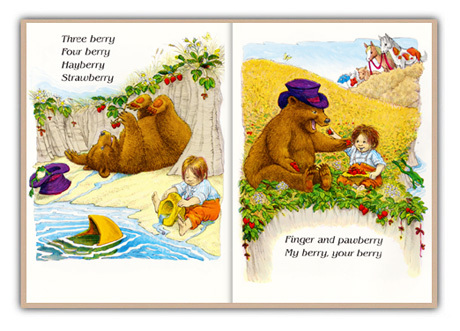 berry images added to all of the stories I read, not just Berry Magic, and captured the attention of the children from the start. I also added text to the bottom of the images and pointed to the words as I read them aloud, an important literacy technique. A little message about using feltboards. I love their ability to help kids build their narrative skills and I encourage kids to touch, feel, and play with the story pieces…after storytime. As soon as I bring them out, I have lots of little hands ready to grab them off the board. Unless I am prepared to have lots of helpers, which happens some weeks, I let everyone know I am going to have the first turn and will leave the board out during craft time for others to play. 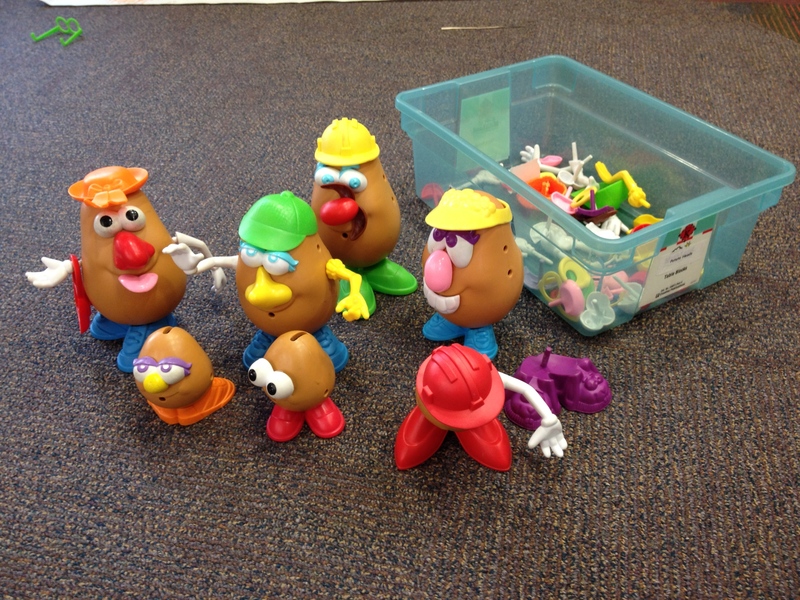 Kids are learning about taking turns and the story gets told with all of the pieces intact. It works well. Bear came and ate it and then there were none. We immediately moved into a fingerplay about two bears. I used the two bear finger puppets I have, one brown and one black, to represent two of the three kinds of bears in Alaska. The families used their fingers. Run away Jack, run away Jill. 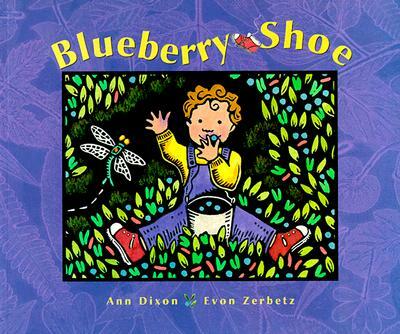 One named Quiet and one named Loud..
Our next story was The Blueberry Shoe (Alaska Northwest Books, 1999) written by coworker Ann Dixon and illustrated by Evon Zerbetz, another Alaskan. I am biased, but this is a wonderful book about a baby who loses his shoe while he and his family are blueberry picking. After an extensive, but fruitless, search, the family returns home without the shoe. Over the winter various animals incorporate the shoe into their daily life, but only temporarily, leaving the shoe for the family to find the next summer. The story’s highlight is the sweet, animal-filled sequence of shoe-filled events featuring eye-catching images of Alaskan creatures including bears, foxes, ptarmigan, and even voles. Many families in Alaska make at least one outing for berry picking so many children were able to recount their personal berry adventures, and misadventures. 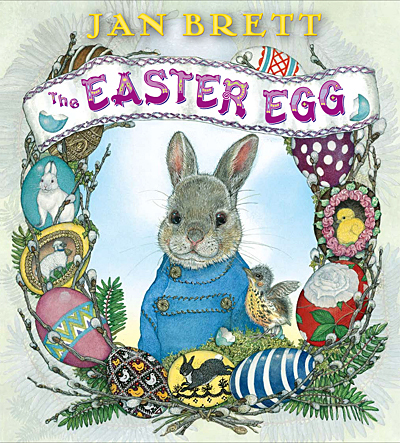 The final book we read together was Jamberry (Harper & Row, 1983) by Bruce Degen! 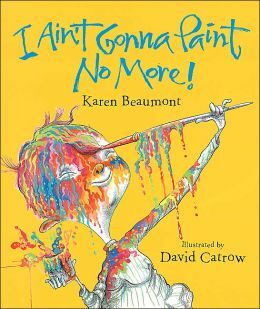 This book has a rhythm that captures kids’ attention and the quirky illustrations keep them focused. 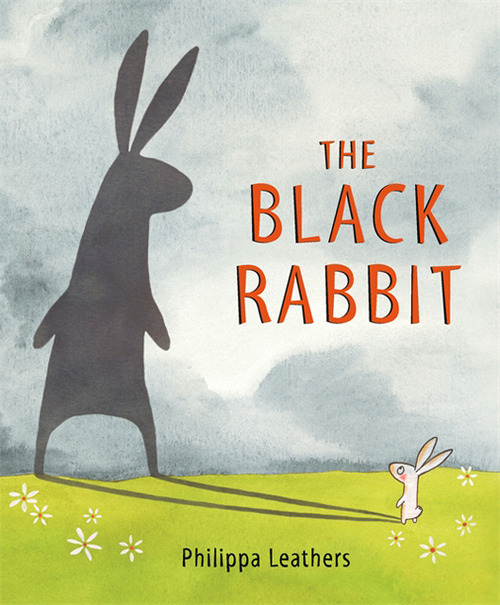 We read straight through this story because many kids were ready for something different, but during other readings I have stopped often to talk about the images. Kids felt comfortable to point, touch, and call out humorous features and their favorite berries even without my usual pausing. I offered two crafts, both of which were pure hits. I even ran out of the supplies used for the second project. Note to self, have lots of contact paper on hand! For the first option, I printed out the template for a strawberry from Artsy Momma on to a white piece of paper and cut out the berry and the leaf section. A high school volunteer traced the templates onto the red and green card stock. Families cut out the pieces, glued them together and used yellow paint to finger paint the seeds on to the berry. The second craft proved to be a great sensory activity also! 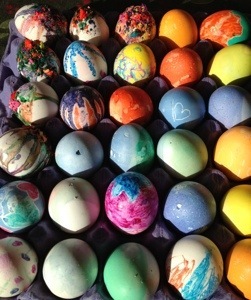 Kids made berries using contact paper and tissue paper. Some made raspberries, while others made blueberries or salmonberries. For each child, I peeled the backing off of a piece of clear contact paper and taped it, sticky side up, on to the table in front of them. 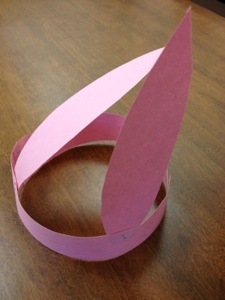 Immediately, each child put their hands on the sticky paper and was completely surprised at how sticky it was! The looks were priceless! 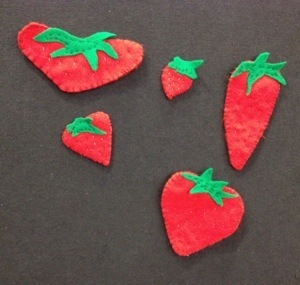 Some kids used one color to create their favorite berry, others chose to do a multi-color collage pattern but all were very clear about what kind of berry they had made. After the berries were finished, we peeled the back off another piece of contact paper (same size and shape) and laid it on top, sticky side down to create a contact paper sandwich. the result was a square or rectangle shape. 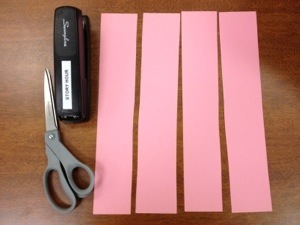 With scissors, the adult or the child cut the contact paper into a berry shape. 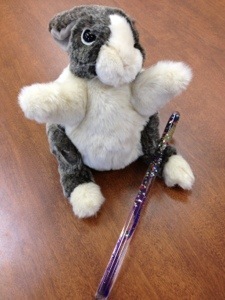 A Day in the Life of a Children’s Librarian- on the Radio! A reporter from our local public radio station shadowed me on my adventures last week. She joined me on an outreach visit and spent time with me at the library during toddler storytime and a cataloging session. Now everyone knows my secret…I have the best job in town! Here’s the story. It was great to get the library on the radio! April is poetry month! 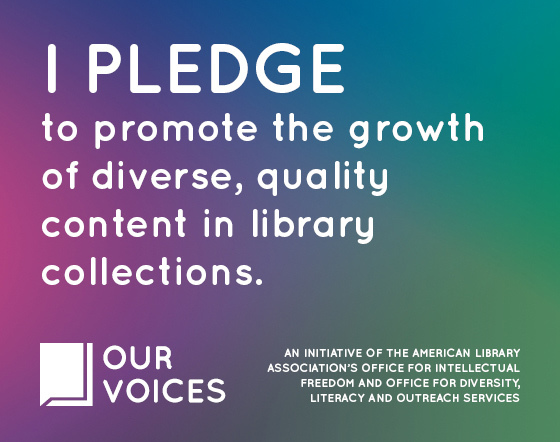 For the next several weeks, I’ll be featuring the work of well-known and unpublished poets in storytime and as part of a prominent display in the children’s library. I am also including some of the fiction in verse that is popping up these days. 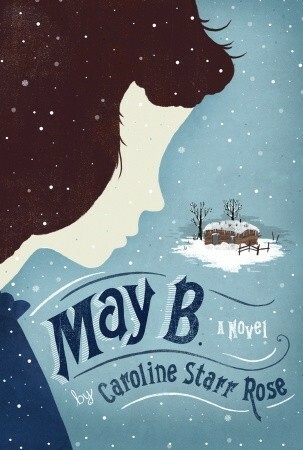 I’m currently reading May B. : A Novel by Caroline Starr Rose (Schwartz & Wade, 2012) in honor of poetry month. What’s great about poetry books for kids is that they have beautiful covers, for the most part, and once they are dug out from the 800s in the non-fiction stacks and put on display, they are whisked away in the hands of potential readers. When the cover is opened and the words are read aloud, the magic of poetry gets families hooked. 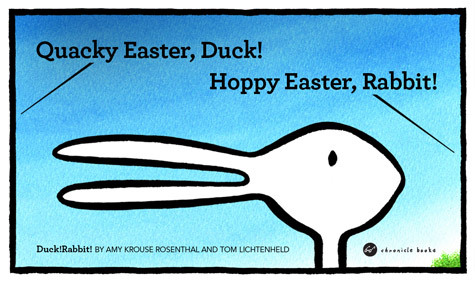 Last year, I cam across Greg Pinkus’ site, GottaBook, that features great kids lit year round and 30 Poets/30 Days in April for Poetry Month. I found some fabulous poetry for storytime there. One that worked well for our little hamlet by the sea, was the concrete poem Sea Star by Liz Brownlee. 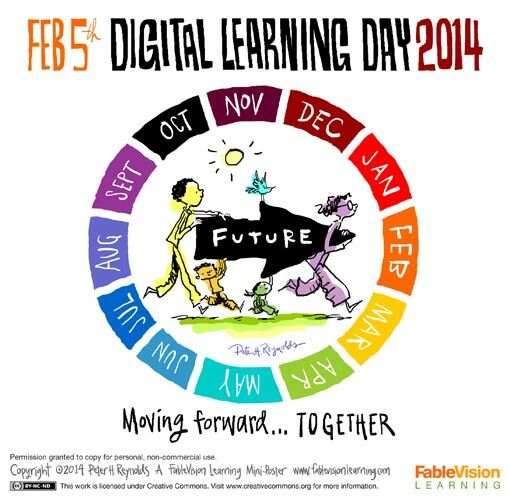 The visual and the topic were just right for our little ones. 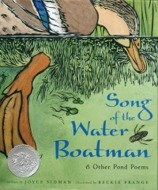 A beautiful book I shared this week during a visit to a local childcare center is the Caldecott Honor Book, Song of the Water Boatman by Joyce Sidman and Beckie Prange (Houghton Mifflin Books for Children, 2005). 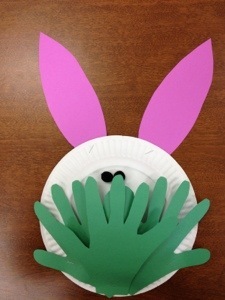 I read aloud the poem Spring Splashdown with the pages faced toward me and had the kids use their imagination to help them guess what animal the poem was about. 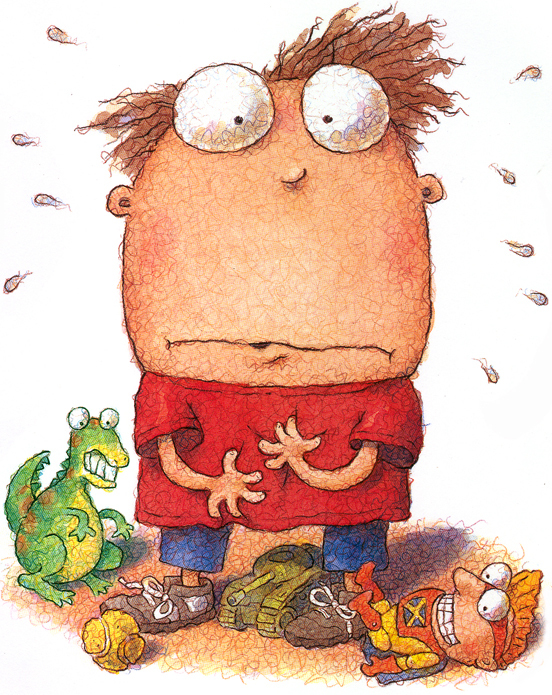 What are your favorite poetry for kids books, authors, or websites?